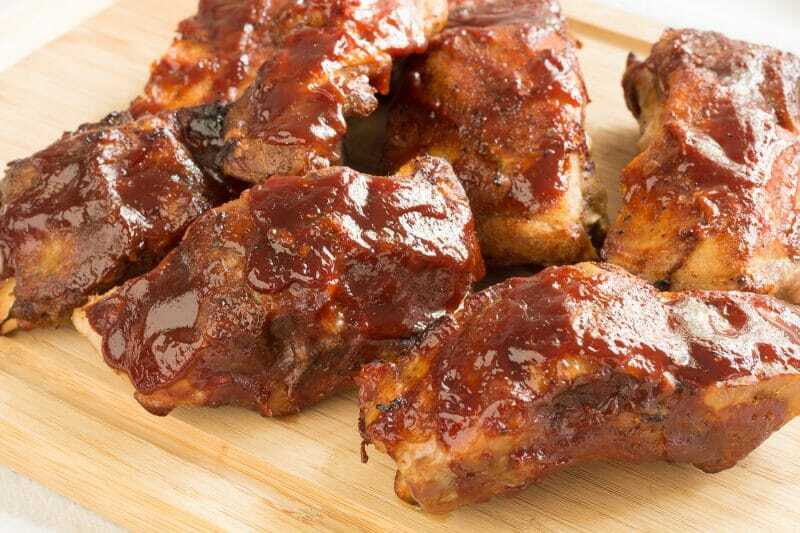 Slow Cooker BBQ Ribs are perfect for lazy weekends and gameday entertaining. Start the ribs early in the day and have tender ribs by late afternoon! This is our second rib recipe. The first one is for sous vide ribs that we finish on the grill. We realize that not everyone has a sous vide machine so we decided to share another one of our other methods for producing tender BBQ ribs. This recipe starts out with a full slab of baby back ribs, but we do not pull off the membrane. We simply cut this into 2-rib sized servings. We use 2 ribs because most times, we have so many other choices for food on the spread, that 2 is about all folks can fit onto their plate. 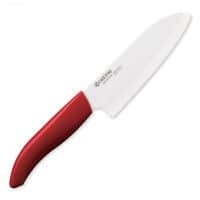 2-rib size is also the perfect size for just picking up and eating. These ribs are great served right out of the slow cooker, but to get that crispy BBQ char we finish them off under the broiler. These ribs won’t take long in the broiler. 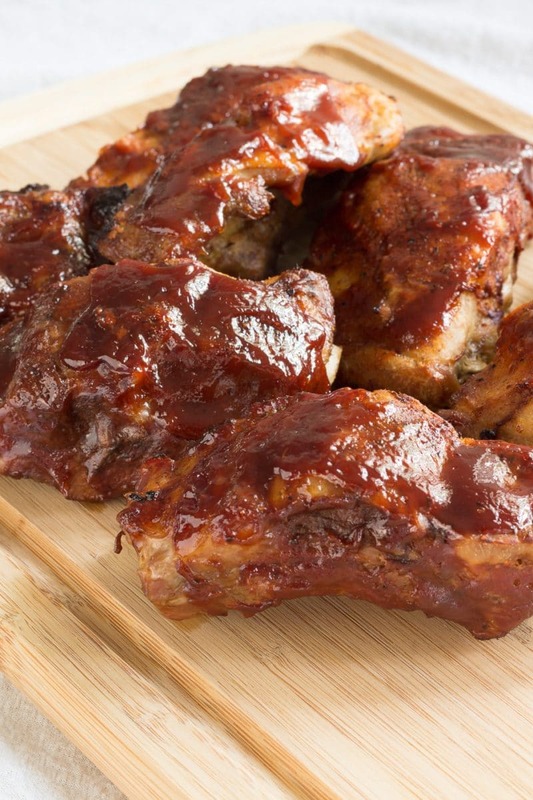 You only need to cook them just until the BBQ sauce and the edges of the ribs start to darken. Broiling only takes about 5 minutes if the broiler has already been allowed to heat up. I use an electric broiler, so it really needs some time to get that top cooking element heated up. You can also put your slow cooke BBQ ribs in a cold broiler and turn it on, it will take a bit longer to get that dark and sticky BBQ sauce action going on though. The secret to making great ribs in a slow cooker is to liberally season with a BBQ rub or seasoning before adding them to the slow cooker. You also need a bit of moisture in the slow cooker before adding the ribs. We add about 2 to 3 tablespoons of BBQ sauce to the bottom of the slow cooker along with 2 tablespoons of hot water. Beer can be used instead, but since we only need about 2 tablespoons of liquid that’s a waste of a perfectly good beer. 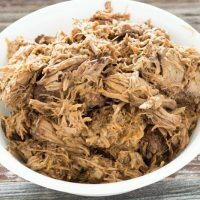 Now, if there happens to be a beer drinker or 2 hanging out waiting for your ribs, go ahead and add some beer to the crockpot before handing the beer off to someone. 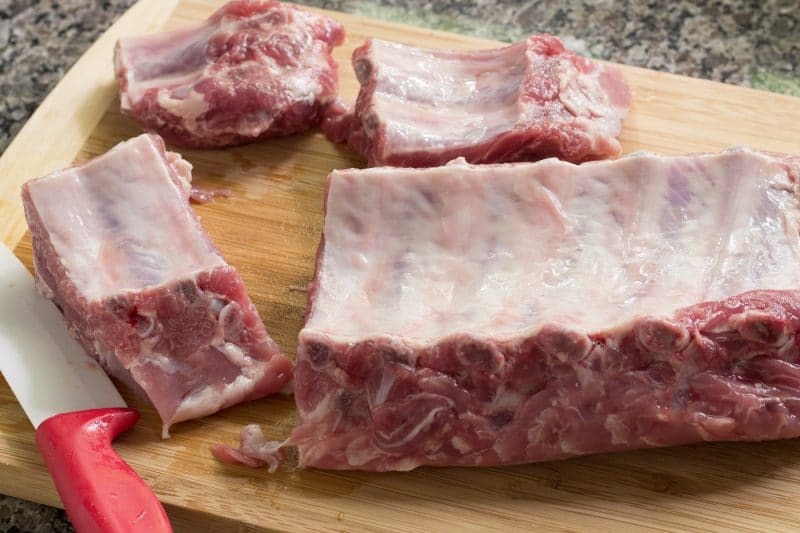 When placing the ribs into the slow cooker, start with a bottom layer with the bones pointing down. There is a natural curve in ribs so place them in a way that puts space between the ribs and the bottom of the slow cooker. About half of a slab will fit int the bottom of the slow cooker. 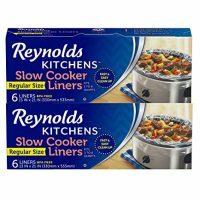 We stand the rest of the ribs along the side of the slow cooker with the bones facing the walls the same way as they are on the bottom, with the natural curve facing the wall. You really do not want to put the meaty side towards the stone wall – it will burn and the meat will stick to the slow cooker!! No one wants to lose the best part of a baby back rib to a slow cooker! The ribs are then covered with a very small amount of BBQ sauce. Don’t use too much BBQ sauce at this point. The BBQ sauce is going to mix with the released juices from the ribs and a good portion of it is going to run off anyway. You don’t want too much liquid at the bottom of the slow cooker, we are going for a slow roast rather than a slow simmer. If you want simmered ribs instead send me a note, I have a method for that too! I promise those will also be tender, just a lot more work than slow cooker BBQ ribs. About halfway through the cooking time, the excess liquid should be drained off for the best-finished product. If we start these early enough in the day we cook these on low for 6 to 8 hours. If pressed for time, we use high heat for 3 to 4 hours. You can get more char on the ribs if you place them onto a broiler pan and broil them for just a few minutes under the broiler. These ribs are already cooked so all we are trying to achieve is a bit of color. The broiler step is totally optional. Sometimes I do it, sometimes I don’t. 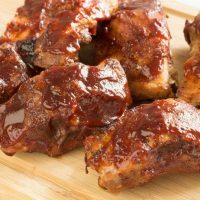 Ribs can be made without BBQ sauce in the slow cooker, but you will be hard pressed to call them slow cooker BBQ ribs. 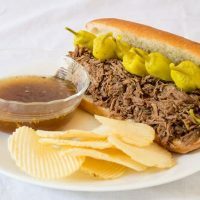 Skip all the BBQ sauce and just use a bit of water on the bottom of the slow cooker in the beginning to provide some moisture. 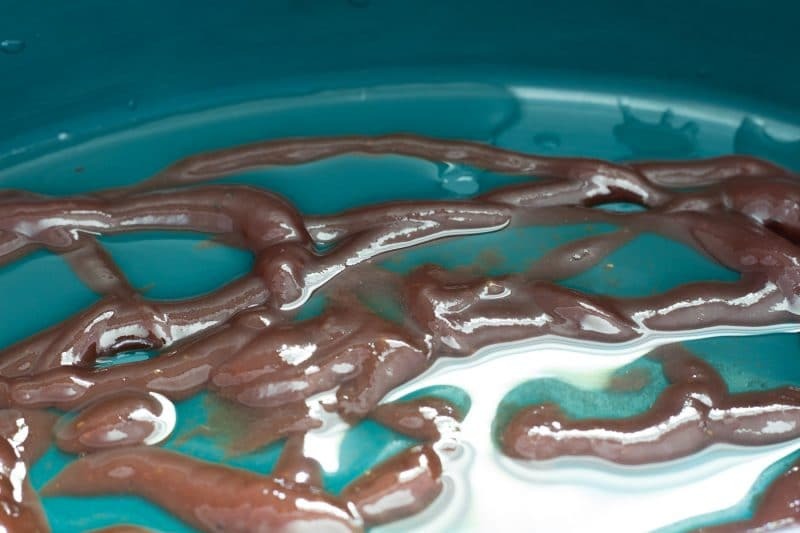 You will still need to pull off excess liquid about halfway through the cooking process. More than 1 rack of ribs can be cooked in a slow cooker. When using more than 1 rack of rib, rotate the ribs around, placing the outer ribs in the center and vice versa. Always keep the meat off of the sides of the slow cooker, allowing the bones to point towards the sides instead. We have used country style ribs and rib tips using this method. Country ribs will take a bit longer, and rib tips will take about half the time. If you need your ribs completed at an exact time, I would start them early in the day. 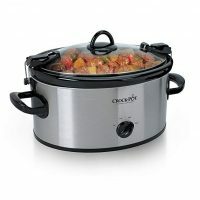 Once the slow cooker BBQ ribs are tender just turn your crockpot down to the “keep warm” setting. Pull them out and broil them just before serving. It is easier to keep them warm than it is to get them to cook faster. Shredded beef in a spicy broth, reminiscent of those served in restaurants in the Chicago area. Closeup Beef Barbacoa in white bowlSave Tender beef cooked in a spicy chipotle sauce, perfect for Burritos and burrito bowls. Paleo friendly. 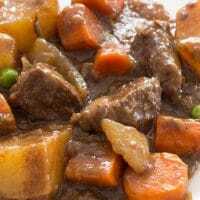 Slow Cooker Beef Stew recipe with no tomatoes or tomato products, just a rich brown gravy that can be adapted to your own tastes. 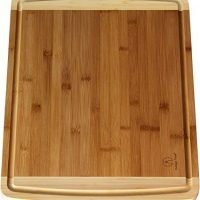 Easily converted to oven or stovetop cooking methods. 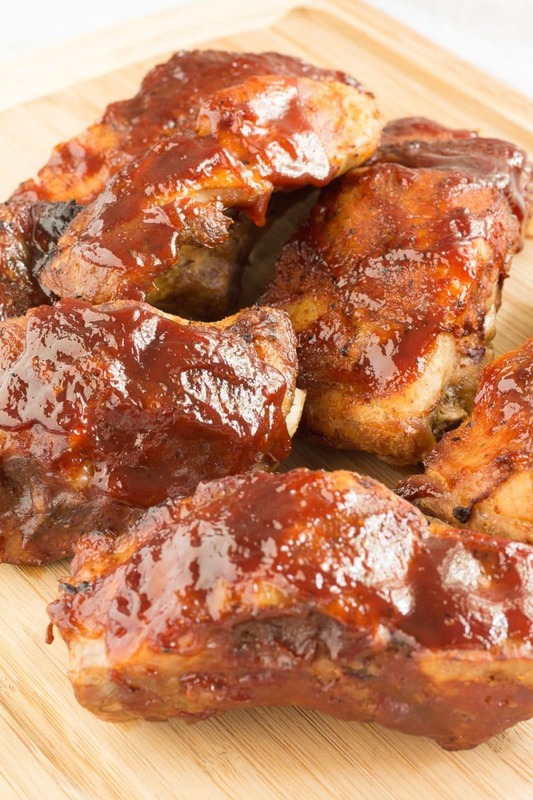 Slow Cooker BBQ Ribs are perfect for lazy weekends and gameday entertaining. Remove ribs from package and rinse. Cut ribs into 2 to 3 rib pieces. Liberally coat both sides of ribs with BBQ rub or seasoning. 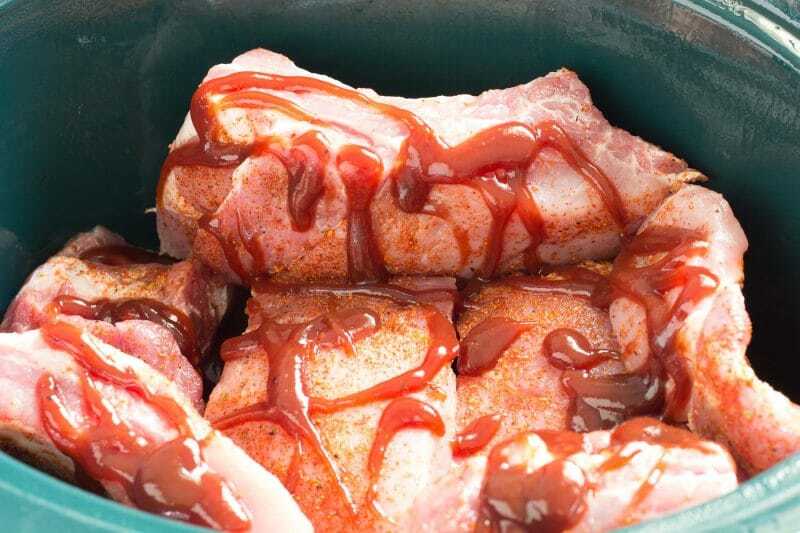 Place 2 tablespoons of water and 2 tablespoons of BBQ sauce into the bottom of a slow cooker. 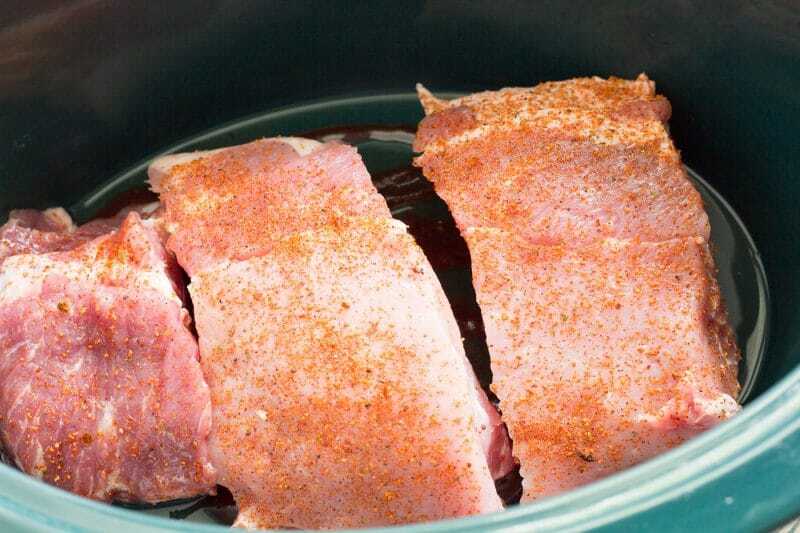 Place ribs in slow cooker with bones pointing towards the sides of the slow cooker. Place lid on the slow cooker and set heat to low. After 3 to 4 hours, remove the lid, remove excess liquid, and cover ribs with remaining BBQ sauce. Replace the lid and continue cooking on low for an addition 3 to 4 hours or until the ribs are tender. 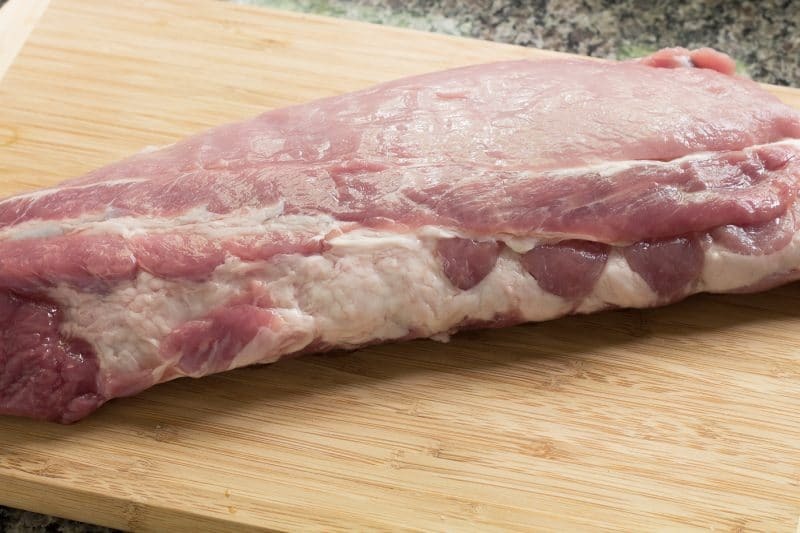 Remove ribs from the slow cooker and place onto a broiler pan and broil for a few minutes if desired. 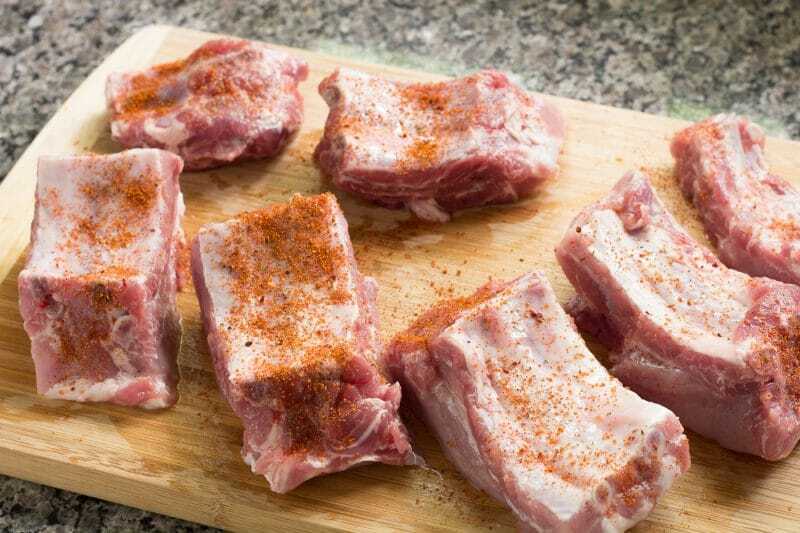 These ribs can be cooked on high for 4 to 5 hours if you are pressed for time.